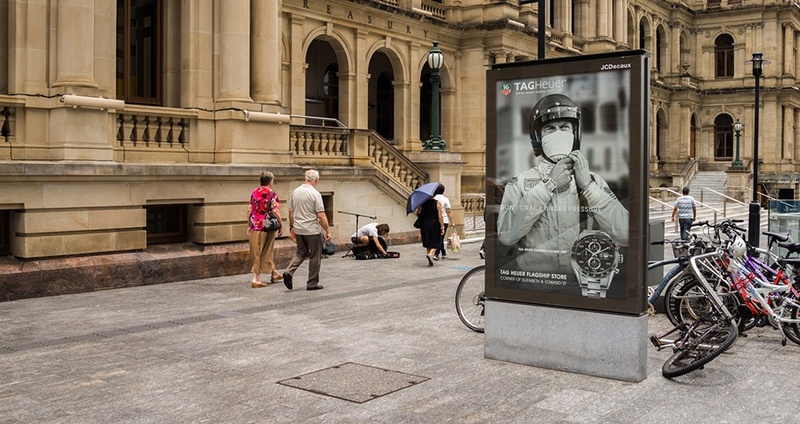 It’s hard to miss an eye-catching, backlit ad at a tram stop or on a busy street in the CBD. 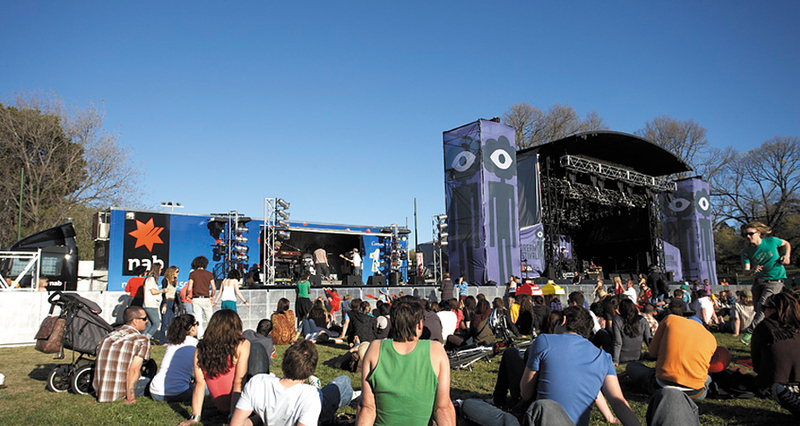 Large-format signage needs expert design to get your brand’s image looking right – on an outdoor scale. 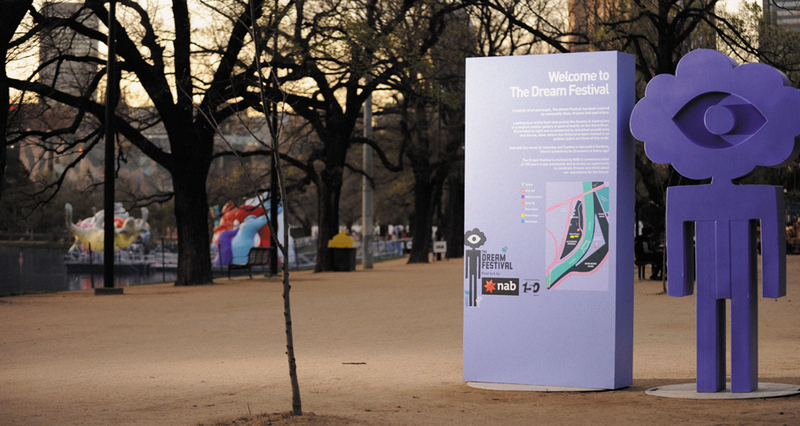 Our brand management service ensures your message works well on all forms of outdoor signage. And our production expertise ensures that there will be no unexpected results when the final campaigns go up. We get image resolution – so you don’t have to. 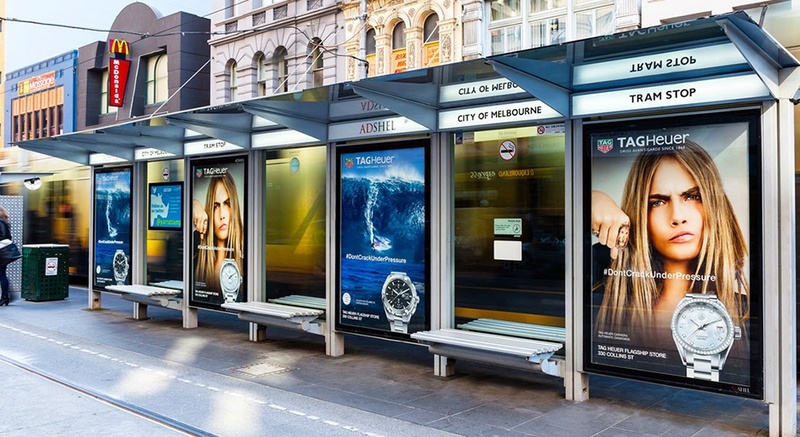 From top, left-right: TAG Heuer signage, NSW; NAB Dream Festival wayfinding signage and music festival banners, backdrops and truck; large format Sydney Airport signage featuring Lewis Hamilton and Leonardo Di Caprio Adshel for TAG Heuer; backlit tram stop signage for TAG Heuer, Melbourne CBD.